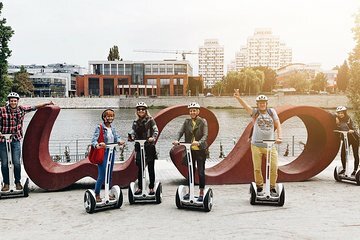 Tick off Wrocław’s dispersed attractions with ease on a private Segway tour, ideal for travelers on limited time. Zip between top city landmarks including the UNESCO-listed Centennial Hall, Wrocław Cathedral, and Partisan Hill, and gain intimate insight into the city’s history and culture from your local guide. Benefit from the personalized service of a private tour, and choose a morning or afternoon departure time to suit your schedule.